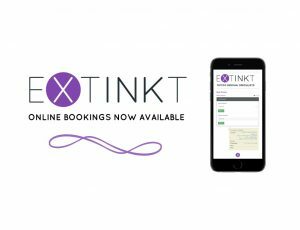 For both new and returning clients, a number of appointment times are now available through the online system here on our website. If there is a time displayed that suits you, simply select it from the list. You’ll then receive a confirmation email, as well as our normal reminder text which details your upcoming appointment. You can also use the ‘Book Now’ button on Facebook, should you be visiting our page. Only a limited number of slots are shown through the online calendar. If you select ‘Any practitioner’ from the menu, you’ll be shown the widest variety of times and days. If you’d like to arrange another time please feel free to call or inbox us, as we do have other availabilities. That’s it for now! We look forward to having you in for your first or follow up tattoo removal treatment soon. Bonus points if you take the online booking route! Contact our Campbelltown clinic to arrange your free consultation and begin your journey back to the clean skin you’ve been longing for.